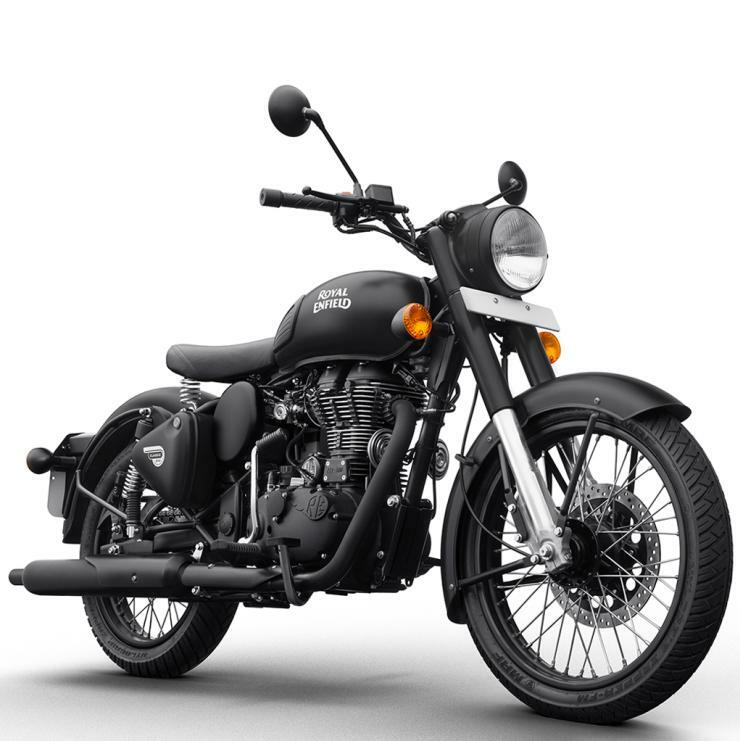 Royal Enfield was expected to launch the ABS-fitted Bullet 350 and Classic 350 tomorrow, but it turns out that the company has had a change of plans. The company now plans to launch the 350cc version of its limited Classic Pegasus 500 motorcycle tomorrow with two new colour options. Though the company has not denied standardizing ABS, this will not be done before February 2019 though. ABS will be introduced initially on the Royal Enfield Interceptor 650 and the Royal Enfield Continental GT 650. The 650cc twins are to be launched in the country during December 2018. Once they are launched, the company will then work on making ABS available across the whole range. The reason behind this change is that the Ministry of Road Transport of Highways has mandated that all existing two-wheelers above 125cc on sale in India will have to be equipped with ABS by April 2019. It is worth noting here that the Bullet series and Classic 350 don’t have a rear disc brake. In order for a dual channel ABS to work, the company will equip a disc brake at the rear. Royal Enfield’s other bikes, like the Classic 500, Thunderbird range and Himalayan, already sport rear discs. Also, we expect ABS to be a dual channel system and not a single channel one. The Enfields sold in international markets have been getting the ABS treatment for some time now. Expect the prices to go up by around Rs. 15,000 after the ABS-equipped bikes come in. With ABS now been made compulsory by the government, bike riding will definitely be much safer now. Accidents due to sudden braking and skidding will be reduced. Also, it will be a boon for heavy bikes such as the Classic and Bullet series, because such bikes gather great momentum at speeds and sudden braking on them could lead to fatalities. If you ever have a choice to make between an ABS-equipped motorcycle and a non-ABS one, always go for the one with ABS.